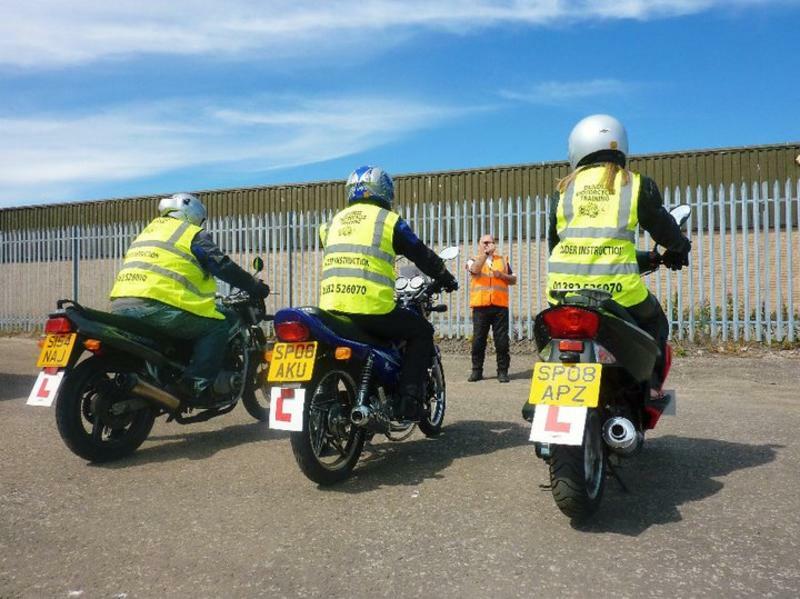 Dundee Motorcycle Training was formed in August 2010 and is headed by Eddie McGuggon, who is a fully qualified Cardington DSA Instructor. He is assisted by; Jim who is a fully qualified Cardington Instructor, Peter and Abe who are Down Trained Instructors. We create a positive, relaxed and enjoyable learning environment where you are taught to ride safely up to and beyond test standard. If you give us a phone it will be Eddie or Pete (the company secretary) that will answer your call, both are more than happy to answer any queries you have. We offer a full range of motorcycle courses from Compulsory Basic Training to Restricted Access, Progressive Access and Direct Access. The courses cater for the complete beginner to the more experienced rider. Intensive courses are proving popular and can be arranged. Although ideally structured the intensive course is best spread over several weeks, as this accommodates tests and places less pressure on trainees. 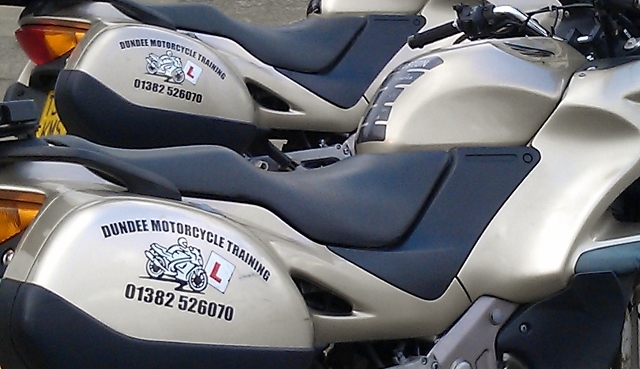 We have a fleet of motorbikes and scooters which range from 50cc to 600cc for you to use. Safety is crucial in this environment and we have a range of modern motorcycle helmets and gloves available for use, along with limited protective clothing. Although having your own kit is a better option. We cater for everyone. If you have additional requirements please give us a call and we can discuss the best way of assisting you as you learn to ride. For more information please continue to browse our website or call Eddie McGuggon today 01382 526070 or 07758652197. Your motorcycle training is just a phone call away!